UPDATE: On January 30, 2014, less than 24 hours after the game in question, a shooting reportedly occurred in the parking lot of Eastern Florida State University which is only 171 miles north of Miami in Palm Bay. According to reports, the victim and the shooter were taken to the hospital for “injuries” while a third person who may have been involved in the attack is currently being questioned by police. When not assassinated, terror patsies are generally arrested immediately after a foiled terror attack for unrelated events to ensure that they do not grow a conscience and speak to the press. While incarcerated, terror patsies usually die in custody, get admitted to a mental asylum, are convicted of a bogus charge and receive a lengthy prison sentence, or are briefed on their new terror target and subsequently released. In this particular case, the latter is likely. SWITZERLAND, Zurich — At 7:00 PM (EST) on January 29, 2014, the Miami Heat will host the Oklahoma City Thunder at the American Airlines Arena in Miami, Florida. The NBA game, which will air nationally on ESPN, will coincidentally feature the two best players in the NBA—LeBron James and Kevin Durant. It is during this NBA game that an Oklahoma City Bombing-like terror event may transpire. However, unlike 1995, the 2014 version of the attack will likely involve a “live” bio-terror agent that may ultimately spark the bio-terror pandemic planned for 2014. In what appears to be the U.S. government’s undercover evacuation plan for a biological outbreak in Miami, it was reported on January 28, 2014, that FEMA is preparing for the “Motor Coach Evacuation of the General Population” out of the state of Florida. The notion of a Miami-based outbreak was most recently highlighted on January 18, 2014, when 66 passengers and 2 crew members were sickened during a biological outbreak on a Port of Miami-based Royal Caribbean cruise. Nine days later on January 27, 2014, another 645 people got sick in an outbreak on another Royal Caribbean cruise ship returning from the Caribbean. 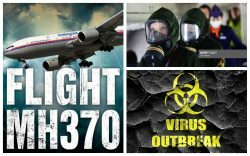 In between the outbreaks, it was reported on January 21, 2014, that FEMA has accelerated preparations for a pandemic by seeking bio-medical waste collection during an emergency within the continental United States. The recent biological outbreaks on cruise ships (i.e., controlled environments) are flanked by at least six CBRN (Chemical, Biological, Radiological and Nuclear) exercises which have been executed by the U.S. military throughout the United States from January 2, 2014 through January17, 2014 (see below). The main earmarks of state-sponsored terror include the drills and exercises which always precede real-life terror events (e.g., 9/11, 7/7, Super Bowl XLV, etc.). The notion of an impending NBA bio-terror attack was recently reported on September 15, 2013, when it was revealed that a NBA bio-terror drill was executed by the U.S. Marine Corps at the Barclays Center in Brooklyn, New York just prior to a game between the Brooklyn Nets and the Boston Celtics. Even more disturbing is the fact that the NBA has been targeted by state-sponsored terror attacks on at least two previous occasions (e.g., 2012 NBA All-Star Game and the Game 2 of the 2013 NBA Finals). As depicted in the Truther.org report entitled “Red Alert: Mass Bio-Terror Pandemic Imminent”, the genesis of the 2014 bio-terror pandemic will be a “made-for-TV event” whereby millions will witness a bio-terror outbreak on “live” television. 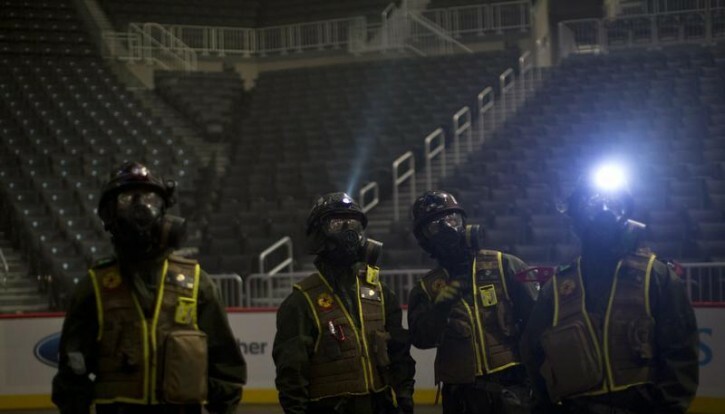 This so called bio-terror “event” will likely occur when the agents known as anthrax (Bacillus anthracis) or smallpox (Variola major) are released into a controlled environment such as an NBA arena or NFL stadium. The January 29, 2014 bio-terror plot appears to be a redux of the 2013 NCAA Final Four Bio-Terror Plot in Atlanta, Georgia in which predominantly African-American basketball players were to be attacked with a bio-terror agent with the goal of sparking a “race war in America. Predictably, the attack was to be scapegoated onto white anti-Obama militia personal who are active duty or former U.S. military members. Coincidentally, on January 17, 2014, it was reported that a jury in Georgia found 2 men guilty in ricin bio-terror plot, potentially foreshadowing another attempted biological attack in the South. The Oklahoma City Thunder were evidently chosen for the January 29, 2014 attack to specifically invoke the Oklahoma City Bombing of April 19, 1995 which would naturally rehash the notion of militia-based domestic terror as well as the man-made fertilizer bomb. Coincidentally, in what may be touted as the “fertilizer” for the upcoming January 29, 2014 bombing in Miami, it was reported on January 24, 2014, that $22,000 worth of eggs stolen in Puerto Rico. Although a stretch, Miami is less than 1,000 miles away from Puerto Rico by boat and the tens of thousands of rotting eggs could theoretically contain enough sulfur to cause an explosion. The slated target—American Airlines Arena—just happens to sit on Biscayne Bay in Miami and therefore vulnerable to an attack by boat. Roughly 2 weeks ago, President Obama hosted the Miami Heat at the White House on January 14, 2014. While this visit may seem benign and routine, teams who win the NBA Finals generally visit the White House in October, not January. The 3-month delay is highly suspect and suggests that the Obama White House wanted to execute a photo-op with the Miami Heat just prior to the attack which would likely kill or grossly disfigure a number of the Heat players. In other words, the Heat’s visit to the White House was delayed in order ensure that a future attack on the Heat players, namely LeBron James, would appear all the more personal to Obama. This pre-NBA terror behavior will again be on display on January 28, 2014, when Michelle Obama will host former gay NBA player Jason Collins during Obama’s State of the Union Speech, just one day prior to the slated NBA terror attack. In another ominous sign than NBA terror is imminent, U.S. President Barack Obama recently drew striking comparisons between the Los Angeles Lakers and Al Qaeda when he stated, “[I]f a jayvee team puts on Lakers uniforms, that doesn’t make them Kobe Bryant”. The statement by Obama was no accident but rather a premeditated quote which ultimately consummated the NBA with terrorism just days prior to the slated attack in Miami. Since the 2013-2014 NBA season is Commissioner David Stern’s last, the chances of an NBA terror attack are and will remain extremely high. Breaking news and events in respect to biological attacks and outbreaks appears to be trending towards a sports-related bio-terror attack. For example, on January 26, 2014, it was reported that volunteers in Maryland are being purposely infected with a “live virus” in the name of for science. A day later on January 27, 2014, it was reported that a middle school student allegedly poured bleach into an opposing team Gatorade cooler in South Carolina, further inciting the notion of a sports-related bio-terror attack in the South. A day later on January 28, 2014, it was reported that a cancer painkiller mixed with heroin is being blamed for 22 Pennsylvania deaths, ultimately confirming that a real-life outbreak is underway. That same day of January 28, 2014, it was also reported that scientists had found the DNA of first-ever bubonic plague and subsequently warned of new outbreaks. Needless to say, state-sponsored bio-terror propaganda is at an all-time high which suggests an attack is imminent. As evidenced, CBRN (Chemical, Biological, Radiological and Nuclear) related drills by members of various factions of the U.S. military are at an all-time high. In the event that a bio-terror outbreak occurs in Miami, Florida, CBRN companies and units will collectively be flown to the outbreak location in order execute forced vaccinations and martial law. Although not yet confirmed, it does appear that the highly suspicious January 10, 2014, state of emergency issued in West Virginia over a chemical leak may have been a real world exercise to prepare government employees and troops for an impending pandemic.. In what appears to be classic domestic terror patsy programming, there has been an unprecedented string of arrests and convictions in the month of January 2014 which indicates that U.S. homegrown terror is imminent. Starting on January 3, 2014, it was reported that a legally insane man was arrested in Florida with 36 guns in van. Three days later on January 6, 2014, it was reported that ‘Jihad Jane’ received a 10-year sentence for role in plot to kill artist, despite that fact that she had already been convicted of a terror charge and was already imprisoned. A day later on January 7, 2014, it was reported that Ohio police stopped a man for speeding who had 48 bombs in his car. Four days later on January 13, 2014, an ex-U.S. soldier was who was accused of trying to join the Al Shabaab terror group got 7 years in federal prison. Eleven days later on January 25, 2014, a man in Pennsylvania was charged with possessing weapon of mass destruction, potentially foreshadowing a WMD attack. A day later on January 26, 2014, a ‘crude’ bomb device was allegedly found in the Maryland mall shooter’s bag. Needless to say, these events have been staged with the goal of giving the appearance that the U.S. homegrown terror is real and that an attack is imminent. LeBron James, a rabid supporter of President Obama, is the most popular player in the NBA and therefore a terror attack on him and the Miami Heat would be seen and taken as a personal attack on Obama. Predictably, just prior to the January 29, 2014 attack, James has been portrayed in the news as being awfully cozy with the Obama family. For example, on January 16, 2014, LeBron was “caught” cheating on his wife while at the Obama White House, an obviously staged incident. Five days later on January 21, 2014, Michelle Obama reportedly dunked on LeBron James and photobombed the Miami Heat, ultimately drawing unprecedented national attention to the Miami Heat. A day later on January 22, 2014, LeBron “accidently” posted an inappropriate photo with a teammate’s daughter who was grabbing his crotch area. These recent LeBron James events were evidently staged in order to provide motive for a future attack on James and the Miami Heat. 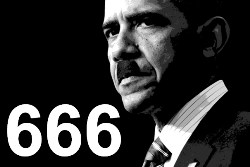 In what appears to be an ominous sign that state-sponsored terror attack against the NBA is imminent, it was revealed on February 15, 2011, that a new terror partnership had been forged between DHS and the NBA. According to reports, “Secretary of Homeland Security Janet Napolitano joined National Basketball Association (NBA) Commissioner David Stern to announce a new partnership between the Department of Homeland Security’s (DHS) “If You See Something, Say Something™” public awareness campaign and the NBA—an effort that will help ensure the security of fans, players and employees by encouraging fans to identify and report suspicious activity”. Roughly a year after this terror partnership was consummated, Truther.org identified and exposed a state-sponsored skinhead terror plot to attack NBA Players at the All-Star Game in Orlando, Florida on February 26, 2012. A year or so later on June 9, 2013, another terror plot to attack the 2013 NBA Finals terror plot in Miami, Florida was also exposed. Needless to say, the NBA is on the short-list of high-profile state-sponsored terror targets. Prior to a “live” nationally syndicated NBA terror attack, the American public must be psychologically prepared to accept that this is in fact possible. Hollywood movie propaganda is a slick way of showing that yes, it can happen. In an episode of the TV series “Homeland” which aired November 25, 2012, terrorist leader “Abu Nazir” was plotting a terror attack and planned to film it on live television and disseminate it globally. Evidently, the Obama administration is following the Hollywood script as an NBA terror attack would be seen by millions “live” around the world. If an when “race war” terror attacks strike Florida, they will most likely be executed by white supremacist terrorists funded by the FBI’s Joint Terrorism Task Force in Orlando, Florida. Roughly 2 months after the death of Trayvon Martin on February 26, 2012, it was reported on May 8, 2012, that ten members of a white supremacist group training near Disney World for a “race war” had been arrested. The affidavit stated that, “The American Front (AF) is a military-styled, anti-Semitic, white supremacist, skinhead organization and is known as a domestic terrorist organization”. According to the report, the group’s alleged ringleader had been “planning and preparing the AF for what he believes to be an inevitable race war” and stated that “his intent [was to] to kill Jews, immigrants and other minorities.” Predictably, the “American Front” terrorist group was being “investigated” (i.e., organized and funded) by FBI’s Joint Terrorism Task Force who allegedly pulled the plug on the neo-Nazi organization after a “confidential informant came to believe his life was in danger”. In what appears to be more pre-Florida “race war” terror propaganda, it was reported on October 18, 2013, that a Palm Bay, Florida, man set himself on fire while displaying a burning cross, an act usually affiliated with the Ku Klux Klan. In a calculated bid to raise the profile of racism in the state of Florida just prior to a “race war” attacks, it was reported on November 22, 2013, that Miami police have been accused of racial profiling. According to reports, the owner of a store in Miami Gardens, Florida and an employee are planning to file a federal civil rights lawsuit against the city of Miami and its police department, alleging that police officers have been racial profiling and illegally stopping and searching people. In the event that an NBA game is targeted with a state-sponsored terror attack, the terrorists will likely be dressed like cops. This particular scenario allows dirty cops to commit the acts of terror while giving plausible deniability to both the NBA and American Airlines Arena who would naturally be vilified in the aftermath of an attack. Coincidentally, on November 13, 2013, a report entitled “Man impersonates officer to try and get discount on donuts” was published which revealed that deputies arrested a man in Florida after he tried to get a discount on donuts by impersonating a law enforcement officer. Roughly 6 weeks late on December 31, 2013, a Florida man allegedly posing as cop was arrested after pulling over real police officer. Needless to say, both events appear to have been staged in order to set the precedent for terror-related incident committed by the boys in blue. In the event that an impending attack is planned for the January 29, 2014 NBA game, the would-be attackers and/or patsies will likely be killed in an inconspicuous manner within the next week or so. In an apparent sign that terror in Florida is imminent, it was reported in March of 2013 that Florida Lt. Governor Jennifer Carroll, a former Navy lieutenant commander, was forced to resign amid allegations of corruption. As of March 11, 2013, the Lt. Governor position for the state of Florida is vacant ultimately leaving millionaire and former U.S. Navy veteran—Florida Governor Rick Scott—in sole possession of power over the state of Florida and any subsequent investigation into any terror related attacks. David Chase Taylor is an American journalist and the editor-in-chief of Truther.org. Taylor currently lives in Zürich, Switzerland where he has applied for political asylum after the release of The Nuclear Bible, a book credited with foiling a state-sponsored nuclear terror attack upon Super Bowl XLV in Dallas, Texas on February 6, 2011. Taylor has also authored The Bio-Terror Bible, a book and website exposing the 2014 global bio-terror pandemic. To date, David Chase Taylor has blown the whistle on over 50 Obama sanctioned terror plots, exposed the man-made ISON doomsday asteroid hoax, exposed the drone strike on “Fast and Furious” star Paul Walker, and exposed Alex Jones’ links to STRATFOR.